Haiti is the most impoverished country in the Americas. In this small Caribbean country, eighty percent of the population lives in abject poverty and one out of nine children dies before reaching her fifth birthday. In 2008 Haiti has been struck by four hurricanes and mass hunger led to food riots. On January 12, 2010, Port-au-Prince was struck by a powerful earthquake, devastating the capital and much of the country. Haitian history is checkered by economic instability and a forced burden of illegitimate debt. Setting the stage for indefinite economic hardship, in 1804 they tried to gain their independence from France but the French conditioned their freedom upon Haitian repayment for its own loss of slaves, or French perceived "property." In today's terms, this debt totaled roughly $21 billion. From that point, Haiti racked up a long track record of authoritarian rulers who funneled foreign assistance into their personal bank accounts instead of investing in its people. One of the worst klepocratic regimes was that of Francois Duvalier and his son who ruled over Haiti for 29 years. During this time, they murdered any opposition and piled on external debt estimated at roughly $900 million that the people saw no benefit from. The creditor countries and international financial institutions were aware of the corruption and the political unrest but continued to issue loans - some to make sure that Duvalier did not lean towards the communist party. This resulted in pushing Haiti further into debt and economic disaster that is still affecting Haitians today who are forced to continue paying Duvalier's debt legacy. Under the IMF's 2008 Heavily Indebted Poor Countries (HIPC) initiative, $1.2 billion of Haiti's external debt was canceled. Unfortunately, this newfound relief proved devastatingly temporary as the 2010 earthquake shook the small island nation back into economic destitution. It is estimated that over 300,000 people died and about a million became homeless - many causalities being from poor building infrastructure. It is estimated that the earthquake roughly caused between $7.2-13.2 billion in damages. Recognizing the need to relieve all of Haiti's debt and to create an opportunity for the people of Haiti to rebuild in the aftermath, Jubilee USA set to action with our partner organizations and champions in Congress to cancel Haiti's debts Along with our partners at ONE, Avaaz and Oxfam, Jubilee USA delivered 400,000 petitions calling for debt cancellation and grants, rather than loans, for Haiti. More than 80 U.S. faith, labor, and human rights organizations, as well as 94 members of Congress, sent letters to Secretary Geithner urging him to negotiate debt cancellation. Jubilee USA also called on President Obama to press international lending agencies to make grants, not loans, and to place a moratorium on all debt payments. With Chairman Barney Frank and Congresswoman Maxine Waters, we pushed for and won full debt cancellation for Haiti in the amount of $1.2 billion, allowing the country to focus on rebuilding rather than repaying. Haiti's positive bank balance didn't last for long, as the IMF (just one among a multitude of new lenders) immediately stepped up with the offer of a new loan totaling $100 million. Despite the fact that Haiti has been the recipient of a significant amount of debt relief, the IMF-imposed cycle of debt continues. Because this kind of debt comes attached with a host of policies that limit government spending on social services, Haitians continue to live without essential services as the Caribbean nation struggles to regain its footing. Then in 2010, another disaster struck - from sewage leaks at UN encampments, a cholera epidemic broke out that only seems to be getting worse. Due to limited clean drinking water and poor sanitation systems, cholera spread throughout the country. The epidemic has already killed more than 7,000 and it is estimated that it could strike another 200,000-250,000 people this year. Now the cholera in Haiti is evolving into two strains, making it harder to stop. In order to fix this problem, and create adequate water and sanitation systems, it would cost around $1 billion. Even before the earthquake, Haiti suffered from a series of crises. The global food crisis had Haiti in its grip. As soaring food prices cripple many impoverished countries, Haiti was still shelling out millions of dollars in debt repayments while its people starved. See it for yourself in this short film produced by Journeyman Pictures. On June 30th, Haitit reached "completion point" in the Heavily Indebted Poor Countries Initiative which cancelled $1.2 billion of Haitis debt. 40% of this was run up by the Duvalier dictators who between 1957 and 1986 stole part of these loans for themselves, and used the rest to repress the population. To reach completion point, Haiti had meet a series of conditions, including the sorts of economic policy reforms that have been so harmful in the past. Thanks to continued work by activists and advocates in the US, Haiti, and around the world, the Obama Administration committed to paying $20 million of Haiti's debt payments for 2009. Secretary of State Hillary Clinton stated: "Food security is not only a source of suffering, it is a direct threat to economic growth and global stability." In early 2009, 72 Members of Congress sent a letter to World Bank President Robert Zoellick, urging Haiti's immediate debt cancellation. Thousands of letters and hearts have been written to Treasury Secretary Timothy Geithner about Haiti, and will be delivered soon. Last year, nearly 3,000 of you signed the petition to Secretary Paulson urging immediate debt cancellation for Haiti. Thank you. Jubilee USA Network delivered your petition to the U.S. Treasury Department urging Treasury Secretary Henry Paulson Jr. to support immediate debt cancellation for Haiti. 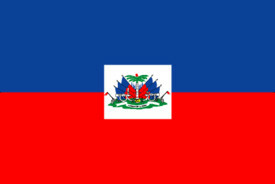 You joined Members of Congress, religious leaders and development advocates from across the country in urging immediate action on Haiti's debt in light of the current food crisis. In recent months some of the poorest countries in the world have experienced a massive rise in the price of basic foods, which threatens serious long-term impacts on hunger, malnutrition and poverty. The responsibility for many of the long and short term causes of this crisis lies with Northern-based institutions and governments. Jubilee USA Network and Jubilee Debt Campaign UK call on these institutions and governments to take urgent action to alleviate the crisis in the short-term and to make radical long-term changes to their development policies and practices. To meet such a challenge, the World Bank's recently announced $1.2 billion funding program is woefully inadequate. Debt cancellation, and an interim moratorium on payments, for all countries suffering from the food crisis, whether they be Heavily Indebted Poor Countries (HIPC) yet to complete the process, such as Haiti, or countries such as Bangladesh that have been excluded from debt relief schemes to date. International assistance to deal with the food crisis should take the form of grants not loans. Haiti is the poorest country in the Western Hemisphere. 80% of Haiti's population live in poverty as defined by the World Bank (under $2 a day). Average life expectancy is just 52 years. Half of all Haitian adults cannot read or write. Despite this Haiti is saddled with a $1.3 billion debt burden and has only recently qualified for debt relief under the Heavily Indebted Poor Country Initiative (HIPC), established in 1996. It will not receive debt relief until it has met a series of conditions, including economic policy reforms. Haiti is paying around $1 million a week to the rich world in debt repayments. The World Bank's funding program offers Haiti $10 million - a figure which will effectively cover its debt repayments for 10 weeks. This is clearly insufficient to deal with a crisis that the United Nations Food and Agriculture Organization (FAO) has predicted could last for 10 years. Haiti's plight is a clear example of the damage done to poor countries by structural adjustment policies. In 1995 the IMF forced Haiti to slash its rice tariff from 35% to 3%. According to Oxfam, this resulted in an increase in imports of more than 150% between 1994 and 2003, with 95% of them coming from the US. By 2005, three out of every four plates of rice eaten in Haiti came from the US. Traditional rice-farming areas of Haiti now have some of the highest concentrations of malnutrition and a country that was self-sufficient in rice is now dependent on foreign imports. The FAO has said 37 countries face a food crisis, with 22 particularly vulnerable. Recent weeks have seen riots and food protests sweep across a vast swath of these countries. The FAO has said that although prices might come down, they are not likely to reach their previous low levels for several years to come. Those countries include Bangladesh, which with an $18.9 billion stock of debt makes payments of $791 million a year to the rich world in debt payments, despite a literacy rate of only 41%. It is not right that these countries are still repaying large amounts of money to the rich world at the same time as their people are struggling to get the basics of life. We call for cancellation of the debts of all poor countries, with a moratorium on payments from all such countries impacted by the food crisis to come into immediate effect. The moral case becomes even clearer when it is remembered that the creditors - in particular the International Financial Institutions - have played a role in creating such vulnerability in the countries impacted by the food crisis. For over two decades, poor countries have been forced to adopt a series of liberalization policies which have weakened domestic agricultural sectors and removed safety nets. Often, debt relief was conditional on the adoption of these policies. In the long-term, economic liberalization has made it impossible for countries to control their own food supply. Poor countries were made to dismantle support for farmers and remove tariffs on agricultural products. They then found themselves competing with cheaper subsidised products from the richer world. In addition they were told to stop stockpiling grain and other essentials in order to stabilize prices. Honduras which used to be - the breadbasket of Central America - now imports 83% of its rice. Many poor countries have experienced similar restructuring. Since de-colonisation, Africa has turned from being a net food exporter to a net food importer. According to NGO coalition Our World is Not For Sale: "A food trade surplus of US$1.9 billion in the 1970s was transformed into a US$17.6 billion deficit in 2000 and a US$9.3 billion deficit in 2004." There is no sign that the International Financial Institutions have learned these lessons. Debt relief programs are still premised on flawed policy prescriptions. It is clear that solutions need to be long-term and structural, as well as providing immediate assistance. Long-term solutions must be found in re-empowering governments and communities control over their own food production and supply, working to iron out price volatility, ensuring the sustainability of small producers and re-establishing safety nets. The indebtedness of poor countries is still key to their vulnerability. The debt crisis has meant both that many poor countries spend more on debt service payments than they do on social spending and that their economic policies are seriously constrained by the International Financial Institutions. Countries have been forced to take out new loans to repay old loans and have found themselves in a vicious cycle of debt, poverty and lack of control over their economies. Although the World Bank has set aside $200 million in grant aid for the poorest countries impacted by the food crisis, the majority of the funding program will be through new loans, thus only adding to the long-term debt burden of these countries. If high food prices are here to stay, as suggested by the FAO, it is imperative that we do not make the situation faced by poor countries even more difficult in the long-term by adding to their burdens. While the FAO has called for a diverse range of measures to be considered in response to the food crisis, the World Bank's response to date has been woefully inadequate. We call on the G8 and the G8 Finance Minister's meetings in Japan in June and July to ensure both adequate short-term provision and a structural, long-term response to the current crisis. A debt moratorium is an obvious and necessary first step which will both free up essential funds and provide the policy space for countries to begin controlling production and supply of the food needed by their populations. Especially calls for "targeted direct food distribution, food subsidies and cash transfers as well as nutritional programmes including school feeding. Strengthening social protection is especially important for vulnerable groups, including children, pregnant women and the elderly. As a short-term response, local food production should be boosted urgently. Measures should include the distribution to small-scale farmers of seeds, fertilizers, animal feed and other inputs through vouchers or smart subsidies." Thanks to everyone who signed petitions, called the White House and Congress and wrote letters to the Editor. Your support has made a huge difference in winning debt relief for Haiti. 2. Thanks to everyone who sent a Message to their Member of Congress! 94 Representatives sent a letter on February 4th to Treasury Secretary Geithner urging debt cancellation. A number of Jubilee partners and allies are working on the ground in Haiti to help in the aftermath of the devastating earthquake on January 12th. Please click on the name to visit their website and donate.